MANIS & RYAN IS NOW MANIS & RYAN, LLC DBA MANIS & RYAN! In Medicare, a straight answer is everything. You, after all, spend hours not getting one. Nothing saves you time like getting to the point. Patrick Manis and Greg Ryan worked in management at the largest Fiscal Intermediary in the nation, having conducted Medicare consulting from Boston to San Diego. We have built relationships with Providers, Fiscal Intermediaries, CMS, and industry colleagues coast-to-coast. Our knowledge of the complex regulations that govern the Medicare Program helps navigate clients through Medicare’s turbulent seas. So, if you want straight answers, just call. To prepare your Medicare Cost Report, Manis & Ryan uses our own CMS-Approved Cost Reporting software: "Spirit of 1728". We developed this product over years, in-house. And since CMS changes the Medicare Cost Report requirements annually, it is, for us, ever an ongoing project. 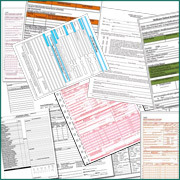 Our extensive background in Medicare Cost Reporting, Medicare consulting, and Accounting, assures you, the client, that your Cost Report is prepared professionally, on federal government-approved software, by people who understand thoroughly the laws and regulations which govern the cost reporting process. 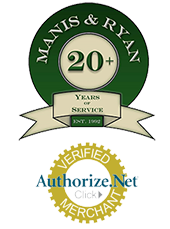 Clients nationwide trust Manis & Ryan to help establish their accounting systems and practices, to insure all financial and statistical data reconciles seamlessly into their Medicare Cost Report. 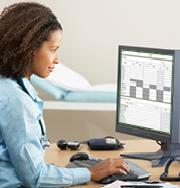 Your Medicare Cost Report is only as good as the accounting used to prepare it. Remember: The Medicare Program each year reimburses Healthcare Providers nationwide, collectively, billions of dollars. That’s billions with a “B”. CMS, in exchange, wants an accounting of that – an accurate accounting. We suggest you trust Manis & Ryan with your accounting. Plain & simple, our goal is to provide you with answers. We do so by combining new age technologies with old fashioned service. For us, your trust is everything. And nothing enhances our reputation more than the ringing endorsement of a satisfied client. It is, after all, why we’re still here. 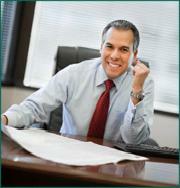 At Manis & Ryan we are committed to helping our clients meet today's challenges and tomorrow's goals. Developing next- generation technology and services to help your company reach it's business objectives. Cutting edge technology with old fashioned service. We offer demo versions of our Spirit of 1728 software programs for your review. Experience the ease of use and functionality of our software before you buy. Give us a call at (805) 523-7364 for more info! Manis & Ryan accepts all Credit Cards at no extra charge! Click here to download our Credit Card Authorization Form. All content copyright 2011 Manis & Ryan © All Rights reserved.